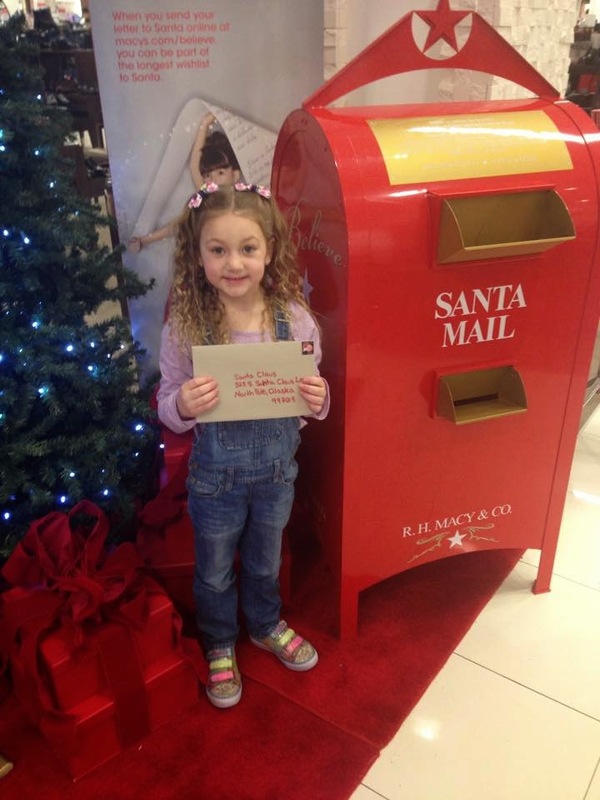 This past week you wrote & sent out your letter to Santa. It's such a sweet tradition to me. You had other thoughts. 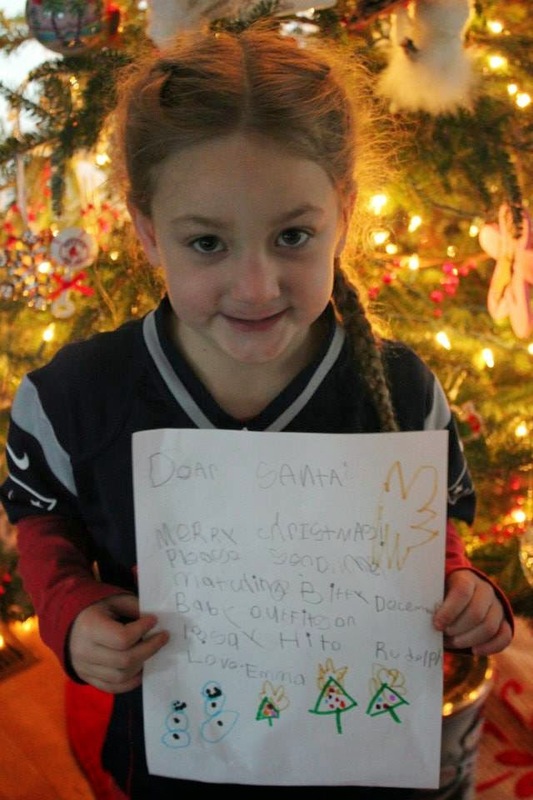 "But, Mom, I already talked to Santa & told him what I want." That is true. You got me there. I forget what excuse Daddy & I told you about why it was important for you to also write a letter, but we made something up that seemed to make sense to you. You sat down at the table to make your letter. You wanted to start right off with the important stuff- what you truly want for Christmas. I asked you to be sure to include some pleasantries. You grumbled a little. 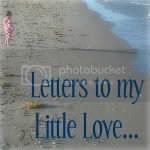 You were hoping your letter could be short & sweet & you could write as little as possible. What a difference a year makes. We didn't use rainbow letters at all. You sounded out & wrote each word on your own, checking with me first that the words were spelled correctly. You added your very own "family" of decorated trees, some snowmen, & a star. You had worked so hard, & I was absolutely dazzled by your work. You were pretty much over it. You just wanted to be sure that Santa knows you want matching Bitty Baby outfits more than anything. There are quite a few other things that you've mentioned it would be nice to have, but that's the one thing you really, truly want. 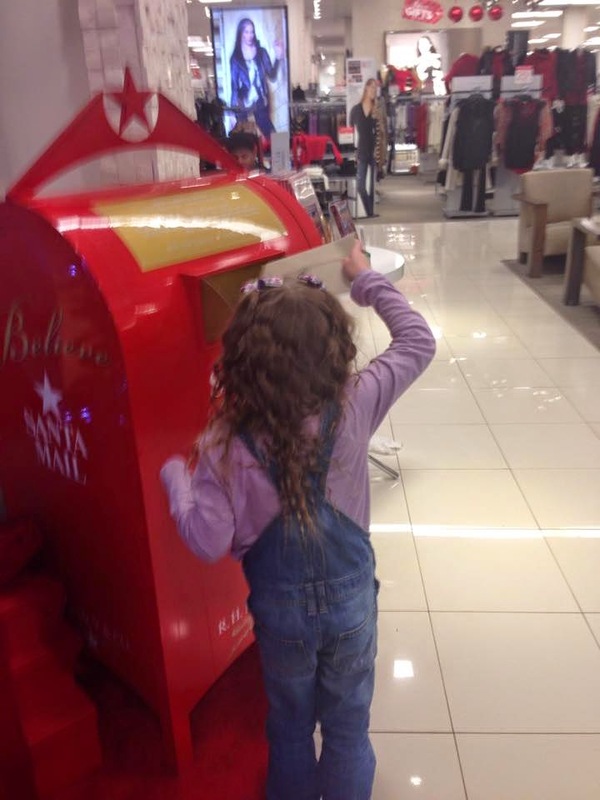 After school I took you to Macys so that we could put your letter into the big, red mailbox. They have such a cute little section of the store set up. The "Santa Mail" box made me smile. 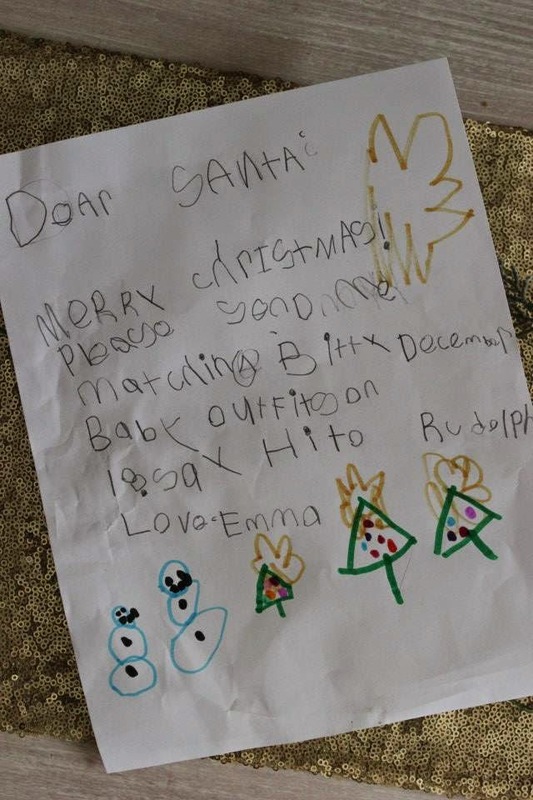 You put your letter inside & gave me a thumbs up, feeling absolutely assured that Santa would know exactly what you want for Christmas this year (& lucky for you, I'm pretty sure Santa is on it). 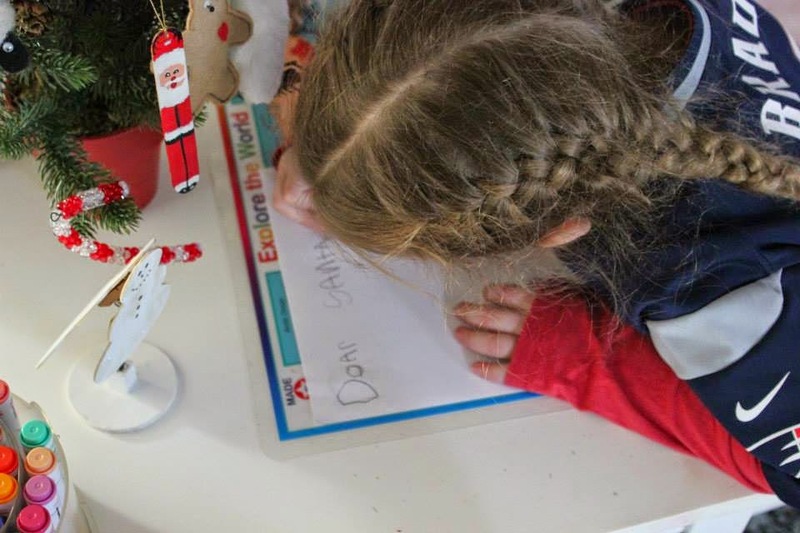 This is our second year writing a letter to Santa. To you it's almost like a business transaction. It's just what you have to do to let Santa know what to leave under the tree, & you just want to make sure the big man in red knows what you're wishing for. To me, it's become such a fun & precious tradition that I truly cherish sharing with you. 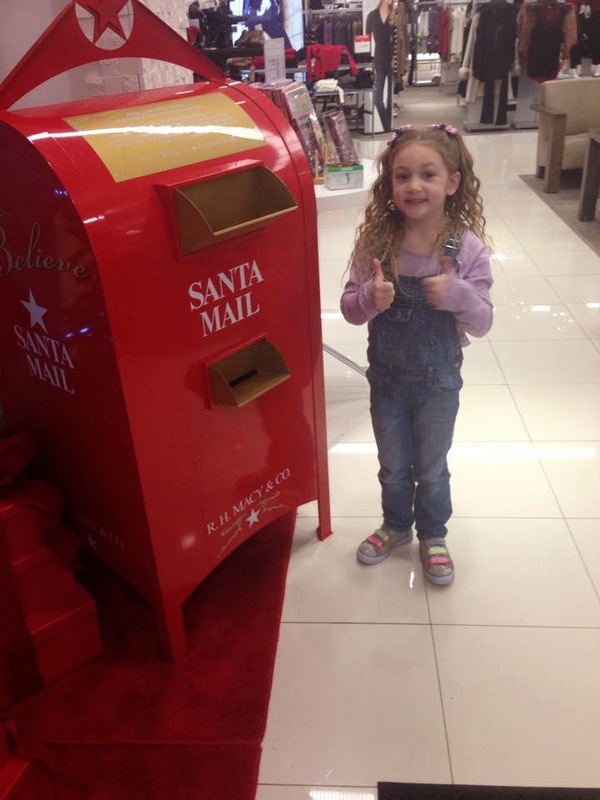 What I didn't know about bringing your letter to Macys (I just thought we were giving you an official mailbox for the fun tradition) is that they donate $1 for every letter to Santa that is placed in these big, red mailboxes. 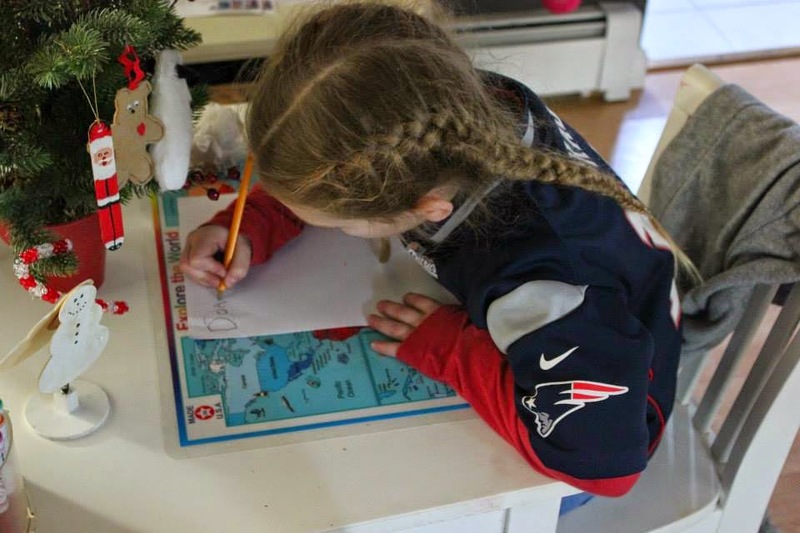 Knowing that by sending a letter with your wishes would help make someone else's wishes come true, made our tradition that much sweeter for me this year.